Lock in a great price for Suitehotel Pincoffs – rated 9.3 by recent guests! 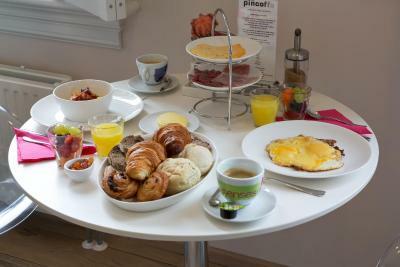 Charming cozy hotel ; lovely breakfast; kind helpful staff- very attentive to our needs. We like buildings from the 1800 s and this hotel had a lot of character from that period but was also completely modernized with a fantastic shower. Good choice. Easy access to the very cool water taxi. Great location, excellent room, staff were very helpful and went out of their way to assist. We have never stayed at a hotel with a more accommodating staff. They went out of their way to make our stay a wonderful experience. 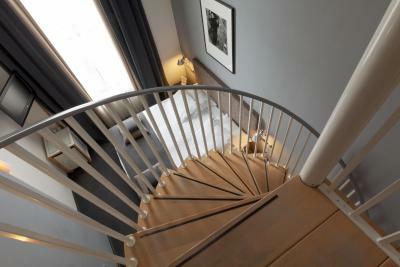 Beautiful boutique hotel, cool rooms, wonderful staff! Great breakfast with eggs cooked to order. Nice bar area and bikes to rent. Beautiful view of Rotterdam and a short walk/metro into the city center. But the friendliness of the staff is almost always what makes a place stand out and this is the case here. We were so appreciative of everything they did to make our stay so great! The staff was incredible! Made us feel very much at home!! Went out of her way to make sure we knew how to use the Italian coffeemaker in our room. Also, were very helpful when we found that we had left a cellphone on the train. She spent over an hour filing a loss report for us with the train company. We felt like honored family members! Not to mention location was perfect for boarding our cruise ship- we were able to walk to it! And the price for the room was great! Extremely helpful and friendly staff and management, made our stay very pleasurable. They gave us a free upgrade too. 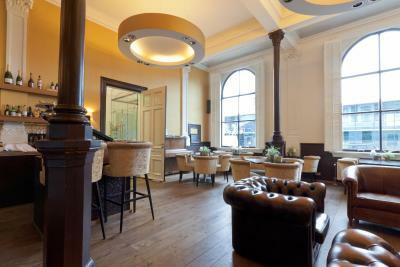 Friendly, characterful environment in a great location. 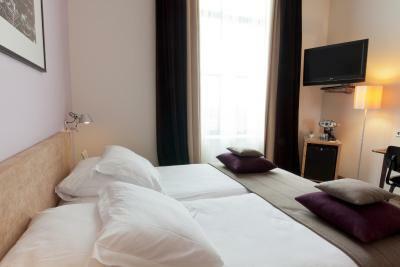 Mobile to go, used it for positioning and public transport, tv channels, near buses-trams and new area in the city, excellent bedding, silence during the night, the bar area. 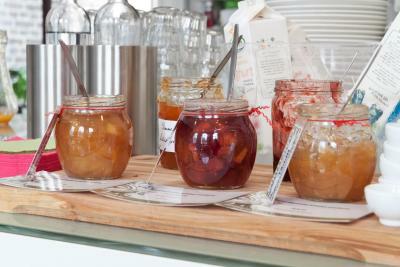 Liked the fruit salad in breakfast. Suitehotel Pincoffs This rating is a reflection of how the property compares to the industry standard when it comes to price, facilities and services available. It's based on a self-evaluation by the property. Use this rating to help choose your stay! Traditional trimmings are enhanced with contemporary comforts in this luxury hotel, where the hospitality is top-notch and so is the view. 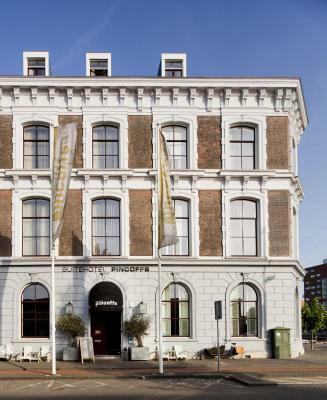 Centrally located in the Kop van Zuid, overlooking the famous Erasmus Bridge and the river Maas, Suitehotel Pincoffs offers stylishly decorated rooms and suites while still upholding its historic charm. 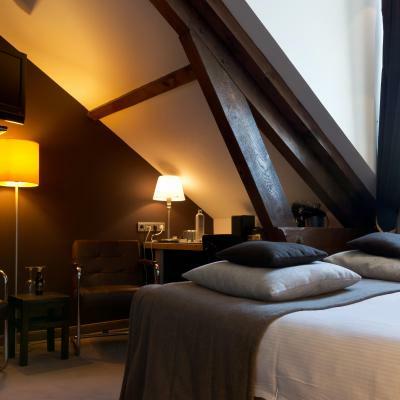 Dating back to 1879, this 4-star hotel is a shining example of classic design amid a city of modern architecture. Special rooms have been dedicated to meetings and other gatherings, providing guests with suitable spaces for every occasion. 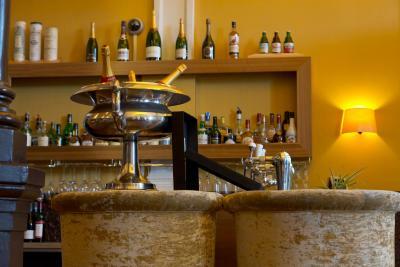 A popular meeting spot among locals, the hotel bar serves a variety of wines and its very own Pink Fizz. When would you like to stay at Suitehotel Pincoffs? 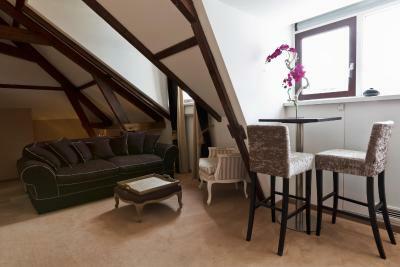 This room is on the top floor and includes original features such as a beam ceiling. It includes free water and tea and coffee-making facilities. These spacious rooms have unique decor and windows which open. 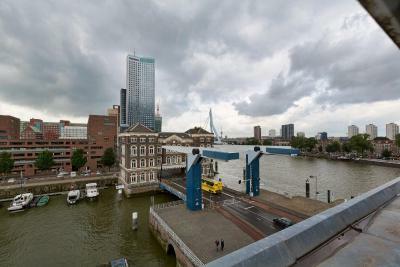 They feature views of the old harbor, the river and the bridges of Rotterdam. Free water plus coffee and tea-making facilities are also provided. 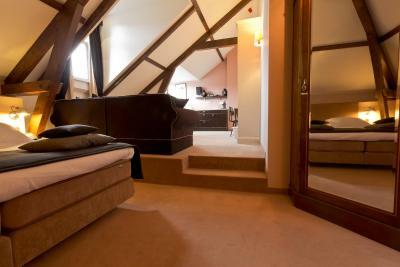 These split-level rooms include a second floor with either a bathroom or bedroom. They also feature a unique interior and windows which open. 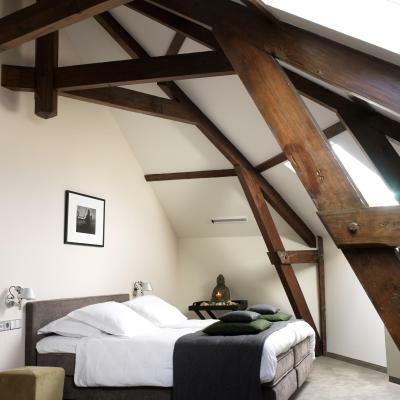 Each room has views of the old harbor or the river and the bridges of Rotterdam. Free water as well as coffee and tea-making facilities are provided. A sofa bed suitable for children ages 4 to 15 years is available in 2 of these rooms. Guests can request a room with this sofa bed for an extra charge. 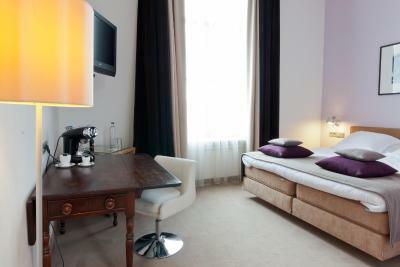 This very spacious room features elegant decor and luxurious facilities. It includes either a bathroom on a separate floor which can be reached by a spiral staircase or a kitchenette with a refrigerator. Guests can indicate their preference in the Special Requests box during the booking process. Please note that the rooms are subject to availability and it cannot be guaranteed that you will receive the preferred room. 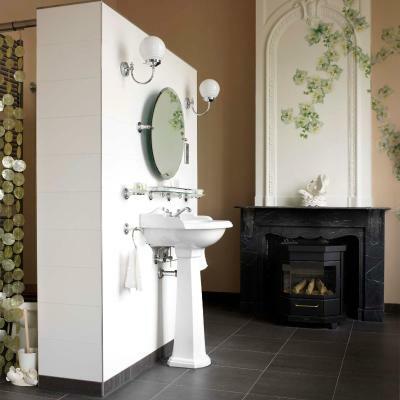 - An English-style roll top bath and a fireplace. The Pincoffs Hotel is a sustainable hotel awarded with the Green Key Gold. 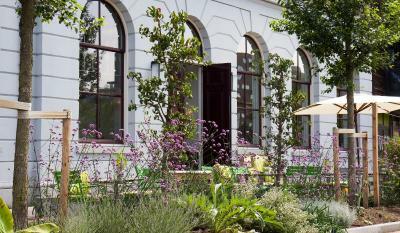 The hotel is situated in a former costoms office and tells the story of the colourfull Lodewijk Pincoffs. A statue of him is placed near the hotel. 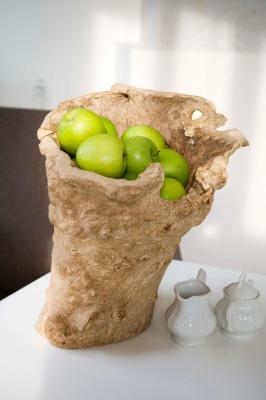 House Rules Suitehotel Pincoffs takes special requests – add in the next step! ATM card Suitehotel Pincoffs accepts these cards and reserves the right to temporarily hold an amount prior to arrival. Suitehotel Pincoffs accepts these cards and reserves the right to temporarily hold an amount prior to arrival. Please note that this hotel is completely nonsmoking and guests who smoke will be charged a fine of the price of one room-night. Please note that public parking is free between 18:00 and 09:00. Nothing - everything was good. Few cereal and bread choices in breakfast. Nothing - it all was very nice! 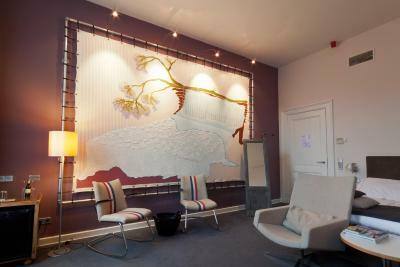 The stylish decor, the comfortable and spacious room and the really welcoming and helpful staff! found this place just by chance a year ago when looked for a good hotel in downtown rotterdam. 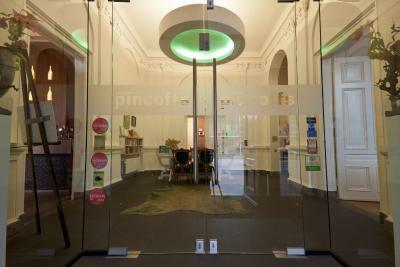 very good experiences from the first time hence we always stay at pincoff's when in rotterdam. 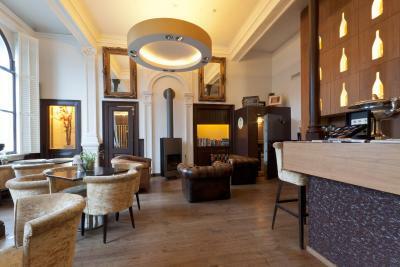 location, comfort, hospitality and last but not least the peerless staff makes this hotel for a perfect place. will be back soon. Service during breakfast a little none existant in terms of clearing tables. Nice location, helpful and friendly staff. Hotel generally clean. The shower needed some attention from maintenance and the hairdryer was dirty and wasn't working. I just mentioned it to reception in the morning and by the time I was back, all had been fixed. Well done and thank you. This was exactly what we needed to celebrate the completion of our 3 week cycling tour. 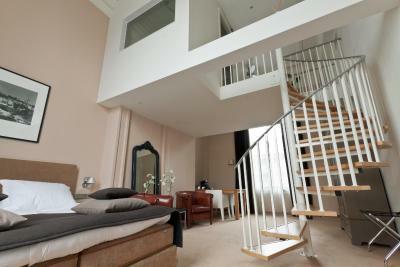 The suite was spacious and well equipped, with stunning views. The excellent food and room service was much appreciated after a long journey. Personal service was wonderful. 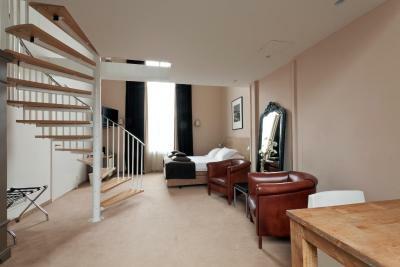 A small well managed boutique hotel. It is not walking distance to city centre but the tram and train station are nearby, so travelling is not a problem. The staff is friendly and offer her kind service like sitting down with us to walk through the popular attractions in Rotterdam on maps. The chef also explained to us about the lunch menu personally so we had decided to have our lunch there. The food there is very nice and the price is reasonable. This hotel is located outside of city centre and the environment is peaceful. Overall, the given feeling was like everything is personalised for you and the staff there always talk to you to know how do you feel. It makes me feel more home compared to others commercialized big hotel.